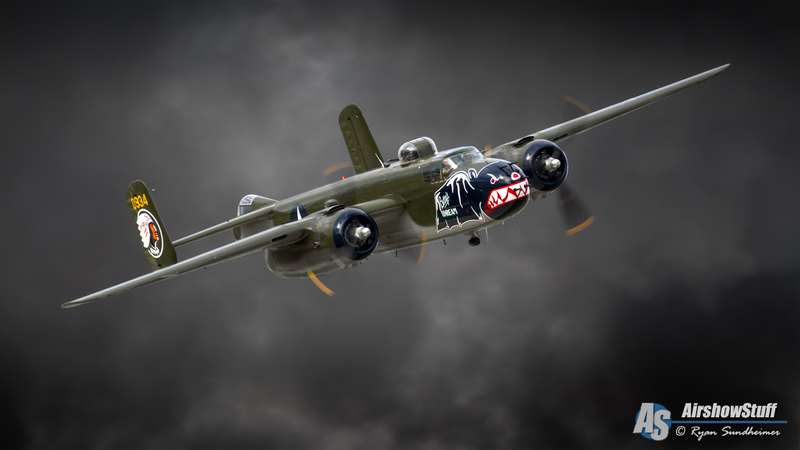 The Texas Flying Legends Museum in Houston, TX owns an impressive collection of WWII-era warbirds, and they put on an amazing display last year at AirVenture! With aircraft ranging from P-51 Mustangs to a British Spitfire to the B-25 Mitchell, this video has some serious warbird punch, including some excellent pyro. 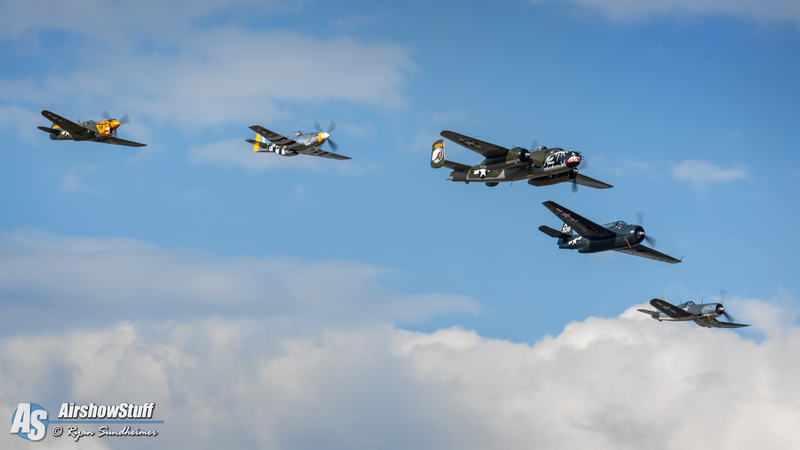 Check out this video where you get to see legends like the Mitchell, Mustang, Spitfire, Corsair, Wildcat, and Warhawk perform pass after pass. Strafing, bombing, diving, and climbing as they put on a show for the ages. You’ll get to see a rare formation of the aircraft flying overhead. You’ll hear the beautiful sound of the Merlin engines of the Mustang along with the deep and throaty roar of the Mitchell as it passes before you with the bomb bay doors open. You’ll get the full effect of the machine gun chatter as the fighters pass by, and you can almost feel the heat from the explosions as they burst below these beautiful aircraft. So if you enjoy warbirds, and who doesn’t really, then turn up the volume and enjoy this awesome video!